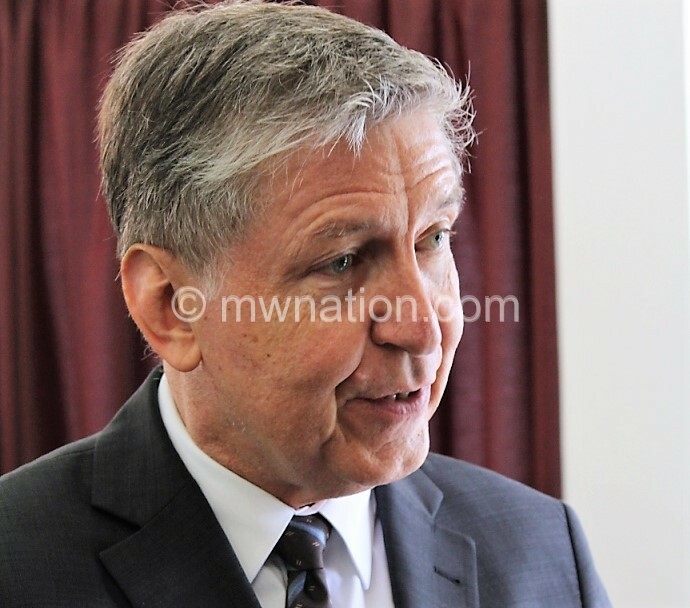 Germany, one of the country’s development partners, has warned Malawians against political violence ahead of the October 17 by-elections, cautioning the acts have the potential to ruin Malawi’s image as a peace loving nation. Speaking in an interview on the sidelines of celebrations to mark Germany’s national day in Lilongwe on Tuesday evening, Germany Ambassador Jurgen Bosch said he was keenly following political developments in the country with an expectation that Malawi will continue to stick to its values of peace despite differences in political opinion. He said: “We are here as observers and friends of Malawi. And I am particularly happy that Malawi as a country is peaceful and the people are quite good and very peaceful. The German envoy emphasised that he was a neutral observer who does not apportion blame on anyone but feel worried with any kind of violence especially when it is happening in the name of elections. Malawi Human Rights Commission (MHRC) executive secretary David Nungu said in an interview the trend of events on political violence ahead of the by-elections on October 17 give a worrying indication of what the road to 2019 may look like. He said the commission will conduct a fact-finding mission on incidences of political violence in Nsanje and Rumphi districts starting from next week to establish the cause and recommend solutions. The Episcopal Conference of Malawi (ECM), a grouping of Catholic bishops in the country, on Tuesday also condemned reported cases of politically-motivated violence ahead of the October 17 by-elections in three wards and three constituencies. Last Saturday, panga-wielding and stone-throwing youths clad in DPP regalia also attacked MCP president and leader of Opposition in Parliament Lazarus Chakwera at the Gonapamuhanya ceremony in Bolero, Rumphi. MEC will hold by-elections in Lilongwe Msozi North, Lilongwe South East and NsanjeLalanje constituencies and in three local government wards of Mayani North in Dedza North Constituency, Mtsiriza Ward in Lilongwe City West Constituency and NdirandeMakata Ward in Blantyre Malabada Constituency.